I switched my focus to gardening and now I am back to thinking about the inside of the house. 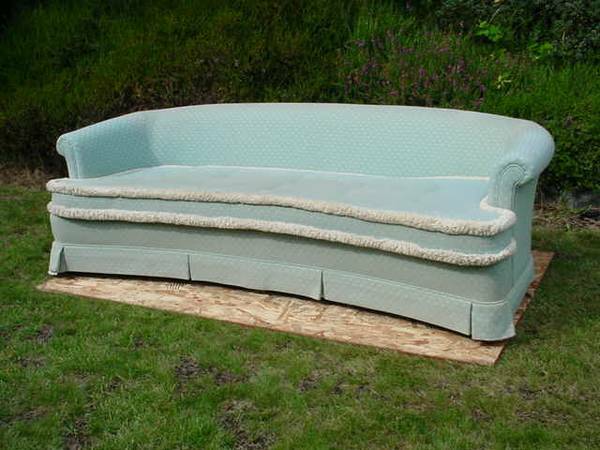 Who wants to buy this couch so I won't? It is so bohemian chic, but that is not exactly the look I am going for. The contractor came today to rip out our downstairs bathroom sink so we can put in a normal sink that is more functional with a house full of kids. I am excited to have a sink that (A) allows water to flow below the countertop and (B) one that doesn't splash you every time you turn on the faucet.